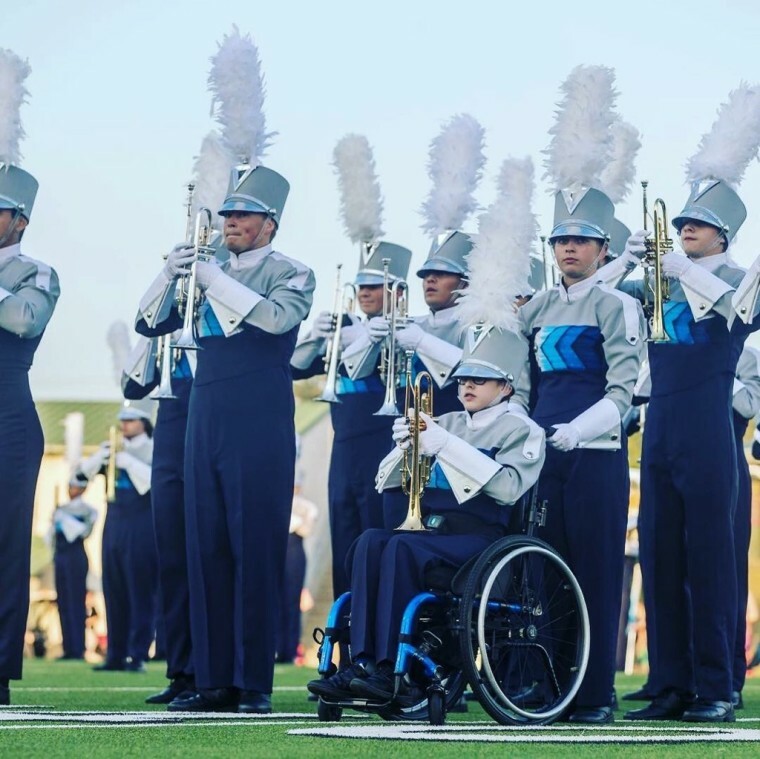 Before the 400-member marching band from Texas' Keller High School takes the field, senior Kailey Summons makes sure the brass section is at their best, checking everything from their hats to their shoelaces. The section leader pays special attention to freshman Drew Bell. “Where are your gloves?” Summons, 18, asks, with a curious look. "I make sure he is ready for everything," Summons says, "It’s not just me focused on me it’s me and him." Bell, 15, was born with spina bifida, a birth defect that left him with a hole in his spinal cord. After seven surgeries — the first of which he underwent while he was still in the womb — he uses a wheelchair to get around. He wouldn’t let that dash his dream of marching with his school band. And now, Bell and Summons will join the rest of their bandmates as one of the 12 bands marching in this year’s Macy’s Thanksgiving Day Parade. Asked how long he'd wanted to play with the award-winning Keller High School Band, Bell said, "For as long as I could remember. I've always liked this band." But he couldn't move his wheelchair and play his trumpet at the same time. When the leaders were looking for a way for Drew to march, Kailey didn’t hesitate. “My band directors were kind of like, if we can get someone to be his feet, he can be the trumpet player, and I was like, 'I’ll do it,'” Summons said with a smile. On the field, while Drew plays the team’s fight song, Kailey wheels him through the intricate choreography, back and forth, and finally into a formation spelling the school's name across the field. And, he said, the entire band has welcomed him. When the pre-game show is over, the two head to the stands and Kailey reaches her hand out to help him up the stairs. It’s apparent their partnership has blossomed into true friendship.